The trendy table lamp Nils is convincing even at first glance because of its special features. 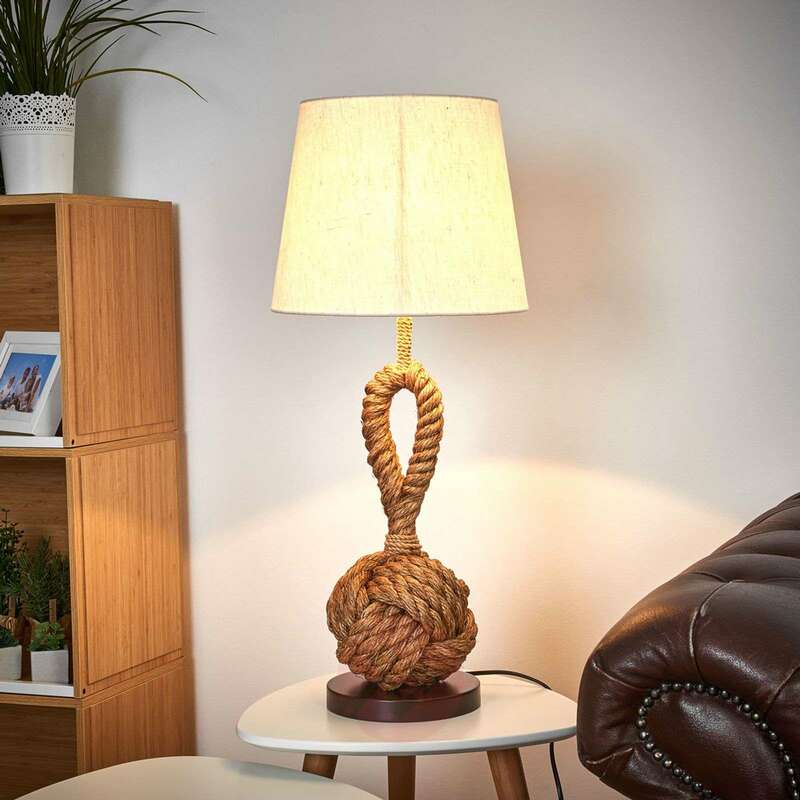 The distinctive design begins right at the base, made in twisted rope, and is primarily inspired by the theme “seafaring”. The base made of dark wood not only ensures a stable support but is also reminiscent of an old ship. Combined with the ambient light, this table lamp has a unique look. Looks good and is a talking point as we live aboard a barge which is also a boat school.